Our Center is dedicated to St. Gianna Beretta Molla who was an Italian pediatrician and mother to four children. 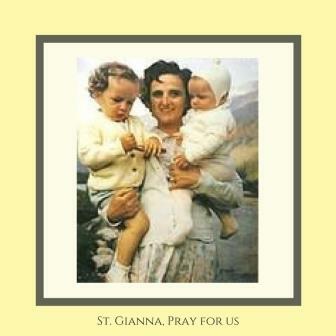 St. Gianna is the patron saint of mothers, physicians, and unborn children. Her feast day is celebrated on April 28th. Dr. Gianna Molla loved both her children and her patients. She was noted for the special love she had for mothers and children. Dr. Molla specialized in pediatrics in an effort to be even more effective in her assistance to them. She didn’t charge patients who couldn’t afford to pay her fees. St. Gianna’s love for her patients was huge, but even greater was her love for her own children; she called them her “jewels.” Her untimely death at the age of 39 was due to her desire to give the child she was carrying every chance at life. While pregnant with her fourth child, a fibroma was found during early pregnancy. Gianna was given the option of having an abortion, a total hysterectomy, or the riskiest option of only removing the tumor. Gianna chose to have only the fibroma removed, putting the chance to save the baby over the risk to herself. The rest of the pregnancy was difficult, and Gianna made it clear that if there was a problem during the delivery, they should save the child’s life rather than her own. St. Gianna gave birth to a baby girl but died on April 28, 1962, just eight days later due to complications of the delivery, That child, named Gianna Emanuela, grew up to become a physician herself and has had a wonderful life because of her mother’s selfless sacrifice. There are many “unofficial” miracles attributed to the intercession of St. Gianna Beretta Molla, as well as the answered prayers of women asking for help during difficult pregnancies and of infertile couples asking for the gift of a child. However, these are the two miraculous healings that were investigated and approved by a scientific and a theological commission prior to St. Gianna’s Canonization. The first miracle was the medically unexplainable cure in 1977 of a woman in Brazil who developed a severe vaginal abscess following the birth of a stillborn infant. The infection spread quickly and was life-threatening. The hospital where the woman was being treated had been founded by St. Gianna’s brother, Father Alberto Beretta, who was a missionary priest. One of the nurses caring for this sick woman was a nun named Sister Bernardina, and she prayed to St. Gianna asking her to intercede so that the woman’s pain would be relieved and she would be spared a difficult transport to another hospital for surgery. Two other nurses joined Sister Bernardina in her prayer, and immediately, the woman was healed. The second official miracle occurred also in Brazil when a baby was born healthy despite the rupture of the amniotic fluid and its failure to reaccumulate at 16 weeks gestation. The mother of this child was told when her “water broke” at 16 weeks that there was no possibility of a successful delivery of a viable infant and that she should have an abortion to save her own life. The woman and her husband refused and with the guidance of the local Diocesan Bishop who had celebrated their wedding, they all prayed to St. Gianna asking for protection of the woman from infection and for a miracle for the baby’s survival. To the amazement of her treating physician, the woman’s pregnancy continued and the baby continued to develop despite the absence of amniotic fluid. The baby was successfully delivered on May 31, 2000, and was named “Gianna Maria”. We wish to follow in her footsteps by keeping her spirit and truth alive through our work at St. Gianna’s Center for Women’s Health and FertilityCare™. We honor her memory by never denying service to those who are unable to pay and accepting whatever payment our client is able to make. Vatican News St. Gianna Beretta Molla A biography at the official Vatican site with a link to Pope Saint John Paul II’s homily at her canonization. 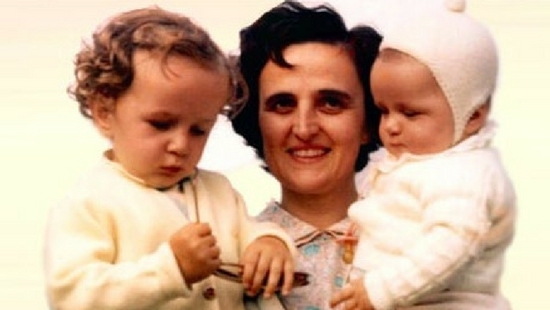 St. Gianna Beretta Molla: A Modern Mother’s Heroism An nice biographical article by Gretchen Filz with photographs of St. Gianna and her family. Society of St. Gianna Beretta Molla A wealth of information about St. Gianna along with information about the St. Gianna Shrine in Warminster, Pennsylvania. Submit your prayers of petition and thanksgiving to the Society of St. Gianna. These petitions are remembered daily by the members of the Society and the Molla family.